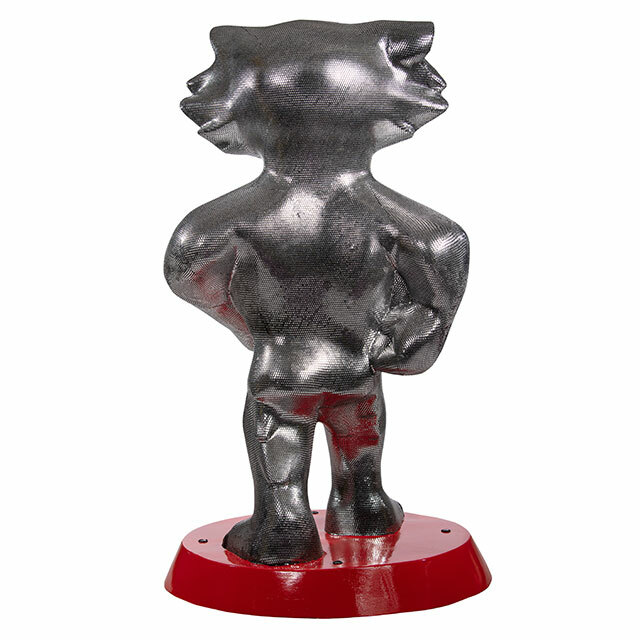 Bucky is covered in full silver sequined fabric that was cut, tightly fitted piece by piece and fully glued to the form. 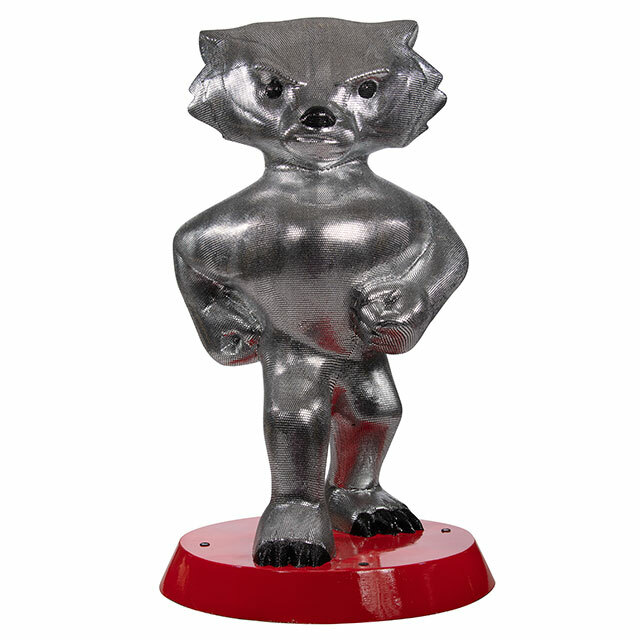 Depending on your angle, Bucky will either appear to be covered in armor or be a 6-foot-tall disco ball. With the contours and reflectivity of the fabric, the statue grabs and reflects light and passing colors. See if you can find the one red sequin hidden among the silver! 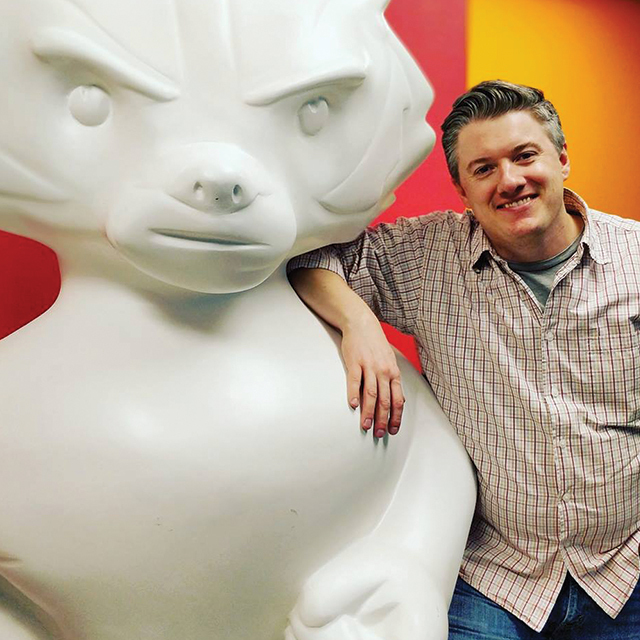 Life is short, and the opportunity to create a Bucky statue is likely a once in a lifetime opportunity. I knew I would regret it if I didn't submit a design. The opportunity to test myself, my skills and to have this memory was exciting. Art for me is all about discovering, experimenting and having fun. I get the opportunity to explore designs, colors, textures and values to create a message or mood. I love to see others experience my work and see how everyone interprets it differently.